The Dong-A Ilbo is a leading newspaper in Seoul, South Korea, founded and published in 1920. The Dong-A Ilbo is a leading newspaper in Seoul, South Korea, founded and published in 1920. The Dong-A Ilbo has a daily circulation of 1,000,000 copies, targeting opinion leaders along with the general public as its main readers. In all areas of its domain, The Dong-A Ilbo strives to report the truth and with journalistic integrity. The Dong-A Ilbo is the parent company of The Dong-A Media Group, composed of 16 affiliates including Dong-A Business Review, Sports Dong-A, Dong-A Science, DUNet, and dongA.com. In December 2011, The Dong-A Media Group also added a broadcasting company Channel A, to provide a wide variety of media content with a focus on news, dramas, entertainment variety programs, sports, and more. 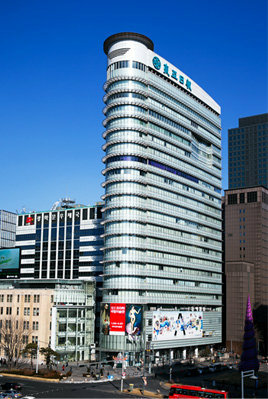 The Dong-A Ilbo is comprised of approximately 700 employees, and The Dong-A Media Group is comprised of approximately 1500 employees. As a multiple award-winning newspaper for journalism excellence, The Dong-A Ilbo has garnered critical acclaim domestically, and has gained recognition globally. Along with its partnerships with internationally renowned news organizations such as the Asashi Shimbun of Japan and the People¡?s Daily of China, the Dong-A Ilbo also has international correspondents stationed in 5 cities worldwide including New York City, Washington D.C., Tokyo, Beijing, and Paris. The Dong-A Ilbo also prints global editions in 90 cities internationally, and provides digital copies in Korean, English, Japanese, and Chinese. Since 1920, The Dong-A Ilbo has focused on providing valuable news to its readers to educate, inform, and encourage a better future for the next generation.